Pull up a barstool and play the part of a punter as The Tavern, The London Dungeon’s all new Victorian pub experience, throws open its doors to guests. With a front row seat at the heart of this unique, storytelling experience you will be transported back to a vibrant, decadent and dodgy pub of 1896, where the gossip and scandal surrounding the local scoundrels, villains and working girls unravels around you. Enjoy a tipple of bootleg beer, a Gin cocktail or traditional lemonade served up by our boastful East End Landlady and henpecked Landlord, as they compete to berate each other to anyone who’ll listen. Round the corner there’s a game of ratting in full swing whilst at the bar speculation about the latest Ripper murders is rife. As piano belts out the latest music hall tunes and cards are dealt in the gambling den no two tables will get quite the same experience as further tales unfold about the Great Beer Flood amid rumours of a ghost. 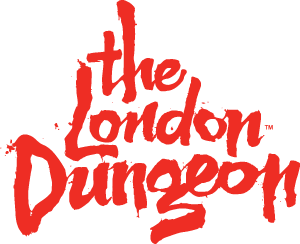 This all new show, adds an exhilarating finale to The London Dungeon, where for the first time, you decide which story you see. If you are lucky enough to look under 25, you will be asked to prove that you are aged 18 or over when you buy an alcoholic drink. If you are under 18, you are committing an offence if you attempt to acquire alcohol.